There's something behind that Korean rating leak after all. Football Manager, the simulator that's all about handling a professional soccer team, is on its way to the Nintendo Switch. Engadget has confirmed the news via a person familiar with the matter at Sega, the publisher and parent company of series developer Sports Interactive. 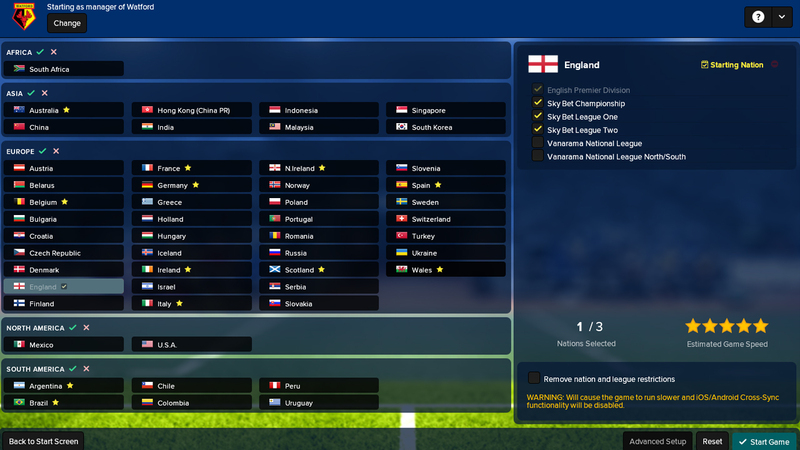 It remains unconfirmed which version of Football Manger is getting the Switch treatment and when exactly it will go live, though we're told it'll be "very soon." There are a few more hints about the new version floating around the internet, thanks in part to series director Miles Jacobson. When the seagulls follow leaky Korean trawlers, it's because they think sardines will be thrown into the sea. We're not ready to talk about this, but we will be soon. Keep an eye on @footballmanager for Switch flavoured sardines. Football Manager 2018 comes in three flavors: The main game, Touch and Mobile. The Korean rating applies specifically to Football Manager Touch 2018, a version of the game that's the same across PC, Mac, Linux and mobile platforms. It's a slightly condensed edition, skipping the pre-match hype and media management that's included in the core game, while emphasizing tactics and player transfers. There's no official word on which version is heading to Switch, but Football Manager is definitely coming to Nintendo's latest console soon, in one form or another.